The study of the annual growth of trees and the consequent assembling of long, continuous chronologies for use in dating wood is called dendrochronology. 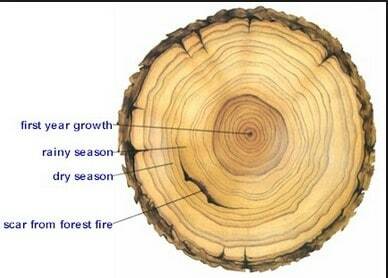 The study of the relationships between annual tree growth and climate is called dendroclimatology. Dendroclimatology offers a high resolution (annual) form of palaeoclimate reconstruction for most of the Holocene. The annual growth of a tree is the net result of many complex and interrelated biochemical processes. Trees interact directly with the microenvironment of the leaf and the root surfaces. 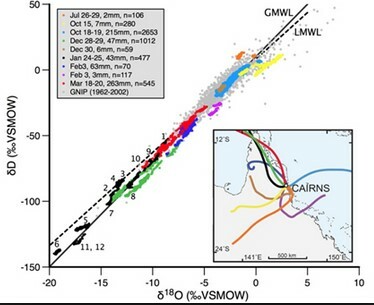 The fact that there exists a relationship between these extremely localised conditions and larger scale climatic parameters offers the potential for extracting some measure of the overall influence of climate on growth from year to year. Growth may be affected by many aspects of the microclimate: sunshine, precipitation, temperature, wind speed and humidity (Bradley, 1985; Fritts, 1976). Besides these, there are other non-climatic factors that may exert an influence, such as competition, defoliators and soil nutrient characteristics. There are several subfields of dendroclimatology associated with the processing and interpretation of different tree-growth variables. Such variables include tree-ring width (the most commonly exploited information source, e.g. Briffa & Schweingruber, 1992), densitometric parameters (Schweingruber et al., 1978) and chemical or isotopic variables (e.g. Epstein et al., 1976). A cross section of most temperate forest tree trunks will reveal an alternation of lighter and darker bands, each of which is usually continuous around the tree circumference. These are seasonal growth increments produced by meristematic tissues in the cambium of the tree. Each seasonal increment consists of a couplet of earlywood (a light growth band from the early part of the growing season) and denser latewood (a dark band produced towards the end of the growing season), and collectively they make up the tree ring. The mean width of the tree ring is a function of many variables, including the tree species, tree age, soil nutrient availability, and a whole host of climatic factors (Bradley, 1985). The problem facing the dendroclimatologist is to extract whatever climatic signal is available in the tree-ring data from the remaining background “noise” (Fritts, 1976). Whenever tree growth is limited directly or indirectly by some climate variable, and that limitation can be quantified and dated, dendroclimatology can be used to reconstruct some information about past environmental conditions. Only for trees growing near the extremities of their ecological amplitude , where they may be subject to considerable climatic stresses, is it likely that climate will be a limiting factor (Fritts, 1971). 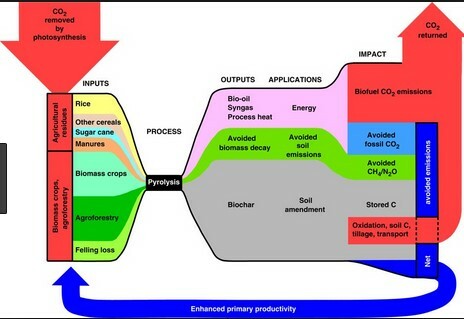 Commonly two types of climatic stress are recognised, moisture stress and temperature stress. Trees growing in semi-arid regions are frequently limited by the availability of water, and dendroclimatic indicators primarily reflect this variable. Trees growing near the latitudinal or altitudinal treeline are mainly under growth limitations imposed by temperature; hence dendroclimatic indicators in such trees contain strong temperature signals. Furthermore, climatic conditions prior to the growth period may precondition physiological processes within the tree and hence strongly influence subsequent growth (Bradley, 1985). Consequently, strong serial correlation or autocorrelation may establish itself in the tree-ring record. A specific tree ring will contain information not just about the climate conditions of the growth year but information about the months and years preceding it. Several assumptions underlie the production of quantitative dendroclimatic reconstructions. First, the physical and biological processes which link toady’s environment with today’s variations in tree growth must have been in operation in the past. This is the principle of uniformitarianism. Second, the climate conditions which produce anomalies in tree-growth patterns in the past must have their analogue during the calibration period. Third, climate is continuous over areas adjacent to the domain of the tree-ring network, enabling the development of a statistical transfer function relating growth in the network to climate variability inside and outside of it. Finally, it is assumed that the systematic relationship between climate as a limiting factor and the biological response can be approximated as a linear mathematical expression. Fritts (1976) provides a more exhaustive review of the assumptions involved in the use of dendroclimatology. 6) finally, to test, or verify, the resulting reconstruction against independent data. Bradley (1985) gives a full account of the methods (1 to 6 above) of palaeoclimate reconstruction from tree-ring analysis. This approach may be applied to all the climate-dependent tree-growth variables, specifically tree-ring width, but also wood density and isotopic measurements. The latewood of a tree ring is much denser than the earlywood and interannual variations contain a strong climatic signal (Schweingruber et al., 1978). Density variations are particularly valuable in dendroclimatology because they to not change significantly with tree age, and the process of standardisation (removal of growth function) can therefore be avoided.